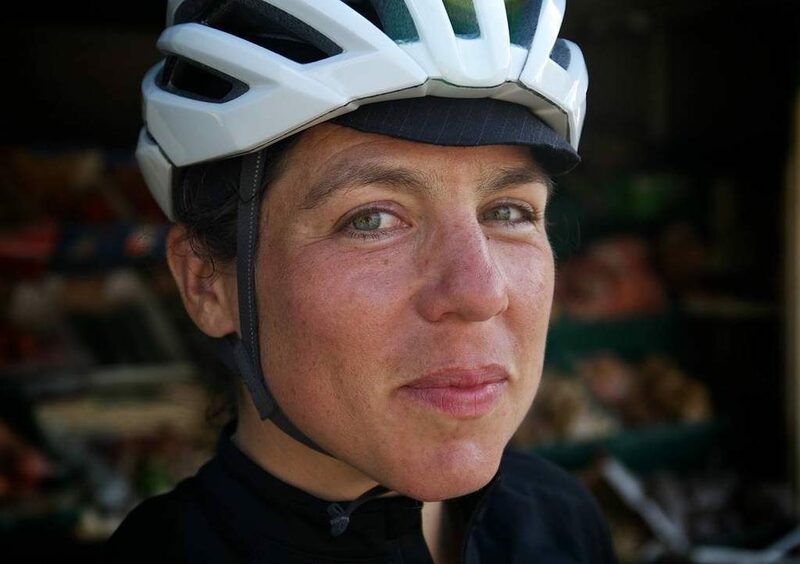 Emily Chappell is an author, advocate and long-distance cyclist. As well as lengthy tours across Asia, Iceland, North America and Europe, she has competed in numerous ultra-distance events, and won the Transcontinental Race in 2016. Her first book, What Goes Around is published by Faber, and her second is due out in 2019. She grew up in Mid Wales, and confidently proclaims it to be one of the very best places in the world for road cycling. 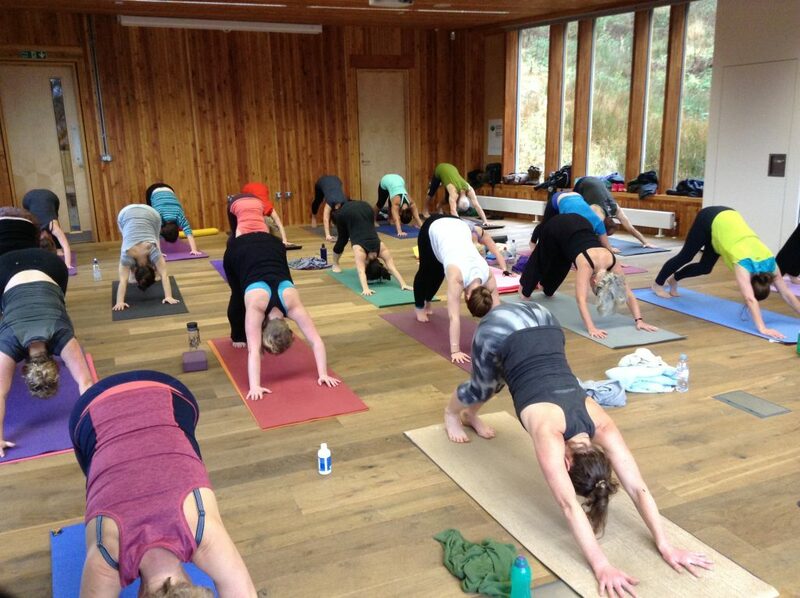 With years of experience teaching yoga to all levels of ability and in more recent years teaching cycling specific yoga, Polly’s sessions will help to both warm up the body and mind for conquering some big rides and help to soothe tired muscles after a long day in the saddle. With emphasis on both the mental and the physical benefits of practicing yoga you will learn some useful sequences for pre and post ride. Polly holds the firm belief that our yoga practice should be an enjoyable (if sometimes slightly uncomfortable) process, and not a form of punishment. After a long ride we think that you need a good hearty meal and thats exactly what you will get at the Elan Valley lodge. Home cooked, healthy and plenty of it. For breakfast you can take your pick from a selection of cereals, fruit salad, yoghurts and cooked breakfast. We recommend a good bowl of porridge and some scrambled egg on toast! With various teas, coffee and cake always available you definitely won’t go hungry. Two nights ensuite accommodation at the Elan Valley Lodge – a 5 star outdoor activity centre. If you are looking for a weekend to test your fitness levels with like minded people, ride some amazing routes on quiet roads, find some space with yoga away from the demands of daily life and eat good hearty food then Yes this is the weekend for you! Is this weekend suitable for beginners? If you are just starting out on your cycling journey we wouldn’t recommend coming on this weekend unless you already do other endurance type sports. Given the distance of the routes we will ride you will have more enjoyment if you have some experience under your belt. You should be able to ride around 50km on road comfortably (ok maybe with some effort!). Do get in touch if you are not sure. Can I arrive later on Friday? We appreciate that you may not be able to take Friday off work – thats no bother. You can arrive at the lodge anytime after 4pm and make yourself comfortable until we return from our ride. The yoga session will be at 7pm on Friday evening. Can I ride to the venue instead of driving? You most certainly can. If you do want to arrive by bike let us know. We can arrange for you to leave any bike luggage at the lodge if you would like to join us for the Friday ride unencumbered by bags. The nearest train stations to the Elan Valley Lodge are Llandrindod Wells (13 miles) or Caersws (23 miles). We can suggest taxi companies if you get in touch. Meet at Elan Valley Visitor Centre at 12.30pm to be ready to ride by 1pm. Return to Centre by 5pm at the latest for Tea and Cake at the Elan Valley Lodge. Rides leave at 9am (long ride) and 9.30am (shorter ride). Lunch stop during ride. This challenging and varied ride starts off with an amble along the picture-perfect Wye Valley, before tackling the rolling Beulah road and beginning the steady climb up towards Abergwesyn, along quiet green lanes. From here we’ll follow the breathtaking Irfon Valley up towards Wales’ most infamous climb – the Devil’s Staircase – then continue through the glorious isolation of the Cambrian Mountains, before descending into Tregaron for a well-deserved lunch. Heading north, we’ll pass the ancient Cistercian abbey at Strata Florida and delve into the steep wooded valleys that surround Devil’s Bridge, where we have the opportunity of another cake stop, before a stiff climb over the watershed into the Ystwyth Valley, where we’ll ride past deserted lead mines and the northern crags of the Cambrian range, before a final climb through the sweeping green uplands of the Elenydd plateau, and a long happy descent back into the Elan Valley. For those left wanting more, Emily will be heading out for an extra 25-mile loop from the Elan Valley Lodge. Q: What if I'm the slowest? Don't worry. We will always ride at a speed that everyone can manage, and no one will be left behind. On hilly rides it's quite normal for a group to spread out, as everyone climbs at their own pace, and we'll always stop to regroup at the top of the longer climbs. If you're not sure how your riding speed will compare to everyone else's, you can use the Friday afternoon ride (when we'll all be together) to get a sense of where you are in the group, and to decide which of Saturday's rides to opt for. Q: How long will the rides be? A: There will be 50km (30 miles) rides on Friday afternoon and Sunday morning, each with a couple of big hills. On Saturday you'll be able to choose between two rides: Polly will be leading a ride of around 80km (50 miles) with 1,400m of climbing; Emily will be leading a ride of around 130km (80 miles) with 2,400m of climbing. If anyone's keen to get more miles in at the end of the day, there'll be the option to do an extra loop. A road bike with slick tyres. (These routes are possible on almost any bike, but it'll be easier to keep the group together if we're all riding something fairly similar.) Please make sure your bike's safe to ride and in good working order, so that the group doesn't get held up by avoidable mechanical problems. If you think your tyres or gear cables might need replacing at some point, sort this out before the weekend! Puncture repair kit, pump, spare tubes and multitool. Please also check the forecast before packing, and bring along any gloves, overshoes, arm-warmers, knee-warmers, base layers or gilets you think you might need. This will be different for everyone, but if in doubt, it's always better to be over-prepared. You should also bring a couple of emergency snacks, and make sure you have somewhere (i.e. jersey pockets, food pouches) where you can carry them.